Opposite the famous Lotus temple, lies the majorly grand Kalka Ji Mandir. Dating back to the eighteenth century, Kalka Ji Mandir is believed to be the oldest in Delhi and is crowded with thousands of devotees at all times. 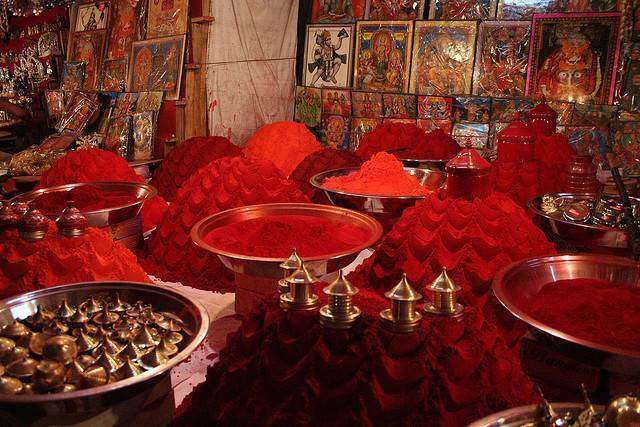 It is dedicated to the Indian Goddess Kali or Kalka who is considered to be the reincarnation of Lord Durga. Folklore goes that the heroes of Mahabharata, the Pandavas and Kauravas, worshiped here. Some people also believe that the Kali deity inside the temple dates back to three thousand years. The temple is an 8 structure building, built with marble and black pumice stone. The temple can be visited throughout the week from anytime between 4:00 am till 9:30 pm but the real attraction lies at the time the Navratri festival. A large fair is organized for nine days during which the temple enlightens up with charismatic beauty and devout pilgrims. This is why Kalka Ji Temple is one the major tourist attractions in Delhi.